Can we have that cheaper MacBook Air already, Apple? Heck, you can buy the capable Dell Chromebook 11 on Amazon right now for just $205, and some refurbished listings even have it at $115. 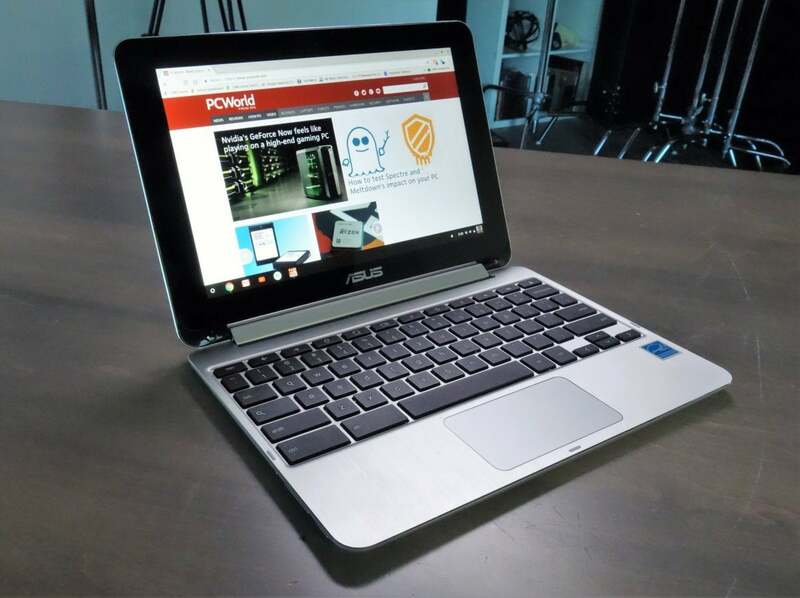 For that matter, one of the most popular Asus Chromebooks sells for just $223. Look at that thing. That’s the Asus Flip. It costs less than the new iPad. If Apple really wanted to be competitive, it should knock down the price to around $250 or less for students. Apple might have needed to include a less powerful processor for that kind of pricing, but as we’ve seen with the relatively weak Chromebooks, students and school districts are more than willing to embrace that sacrifice. 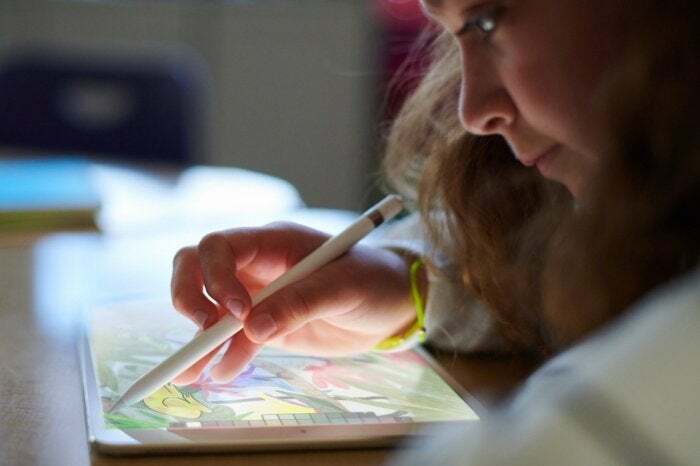 On paper, yes, Apple is selling an iPad to students for under $300. (It’s only a penny under that, but it’s the thought that counts, right?) 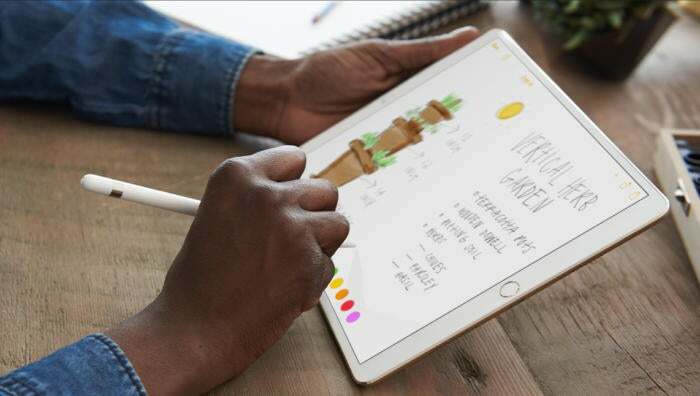 To get the fantastic experience Apple showed off on the stage in Chicago, though, students and schools will have to plunk down another $89 for an Apple Pencil with the new discount, thus bringing the price precariously close to $400. Try asking the teacher if you can borrow one and let us know how it works out. Even if students buy Logitech’s $50 Crayon, that’s still a lot of money for a device that—let’s admit it—a lot of students are going to lose, and probably quickly. I’ve managed to go about a year without losing mine, but keeping up with it when I’m away from home demands a change in mindset that’s akin to sticking to a new diet. After a single loss, even some of the wealthier parents and districts will balk at replacing them. As for less advantaged students? Forget it. I’m glad to see that the Apple Pencil has at last come to a regular iPad, but the fact remains that it’s no true substitute for a mouse. With Chromebooks, students can easily attach low-cost mice through USB ports, allowing them to edit and manipulate text in essays and reports far more quickly than they can with Apple Pencils. As a writer who often writes on an iPad Pro, I’m all too aware of how this simple limitation slows down my work speed. But ports are good for other things as well. Students can easily plug an external display into their Chromebook for a presentation, or they can easily connect to external hard drives for downloading or uploading massive files. The iPad? You’re stuck with the cloud and the awkwardness of mailing big files to more capable devices. Apple greatly improved file management for the iPad with iOS 11 with the introduction of the dedicated Files app, but (in stark contrast to the usual Apple affection for simplicity), it’s still a bit of a convoluted process to save and recover files. Meanwhile, Chrome OS, despite being based around a browser of all things, far better mimics the experience of saving and sending files on a Mac or a PC. You always know where your saved files are. You can easily create and access specific folders for projects. That simplicity greatly cuts down on the time needed to send off an assignment in a bind, whereas I find on the iPad that I often have to relearn how to find a saved file with each app. Google’s G Suite for Education is the hot thing in schools today, as it makes it easy for teachers to create and share assignments, give students feedback on their work, and occasionally even give parents or guardians progress reports. Apple has made some clear strides to close that gap with the Schoolwork app it announced yesterday, along with a curriculum focused on music, video, photography, and art called Everyone Can Create. Frankly, Schoolwork looks impressive. It even looks a bit more intuitive and fun than what we see in the competition. The problem is that G Suite is based entirely online, which makes it super easy to use across a wide range of devices. You can use it on a phone. You can use it on a Chromebook. Yes, you can even use it on an iPad. Apple’s app-based system, though, demands a full commitment to Apple’s product line. If you’re a school, that means all iPads or go home. That will work for some schools, but for many others, Apple’s price tag for the required iPads will prove too high a barrier to entry. I’m a fan of Apple’s digital keyboard for the iPad, and in fact, people here in the office seem to think I’m a little weird because of it. These days I don’t even use a keyboard case. But that’s because I mainly use my 12.9-inch iPad Pro. At that size, the keyboard delivers roughly the same experience of typing on the 2017 MacBook Pro. Having typed on the new 9.7-inch iPad for a bit, I’m impressed with it, but it’s hard to ignore that fact that the loss of those extra inches delivers a more cramped typing experience. And this is coming from someone who has (sigh) decades of typing experience behind him. For someone learning to type for the first time, a digital keyboard isn’t going to cut it. No $150 keyboard for you, kids! Or anything, really. For longer assignments such as reports and essays that require longer stretches of typing, students and teachers alike are going to want physical keyboards. Even I, a digital keyboard advocate, grow tired of using them when I’m typing for more than 200 words. This may not matter as much for students in earlier grades (who’ll likely benefit from the iPad’s touchscreen emphasis more), but I could see it become a problem the closer students get to high school. And remember, Chromebooks come with a keyboard already cozying up to the display. 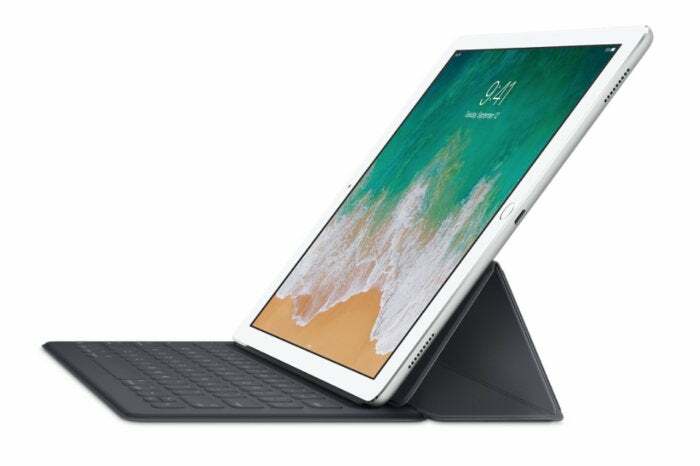 Shockingly, the new iPad doesn’t even come with the Smart Connector that Apple uses for connections to its Smart Keyboard in other iPad models. Instead, Apple nudges students and schools to pick up Logitech’s Rugged Combo 2 case, which looks super sturdy but which costs another $100. (It also comes with its own Smart Connector of sorts to make up for Apple’s omission.) Once you figure in the Apple Pencil, congratulations: You’re now looking at a $500 setup. Sorry, Apple, you didn’t think this one through.